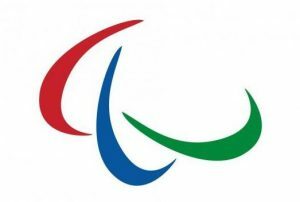 The International Paralympic Committee (IPC) has confirmed that eight new sports and three sport disciplines have expressed an interest in applying for inclusion in the Paris 2024 Paralympic Games sport program. As part of a 14-month exercise by the IPC to determine the final sports program for Paris 2024, recognized international federations of summer sports not yet on the Paralympic program had until 21 November to notify the IPC whether they wanted to be considered for inclusion. Eight international federations – International Federation of CP Football, International Federation of Powerchair Football, International Golf Federation, International Surfing Association, World Armwrestling Federation, World Karate Federation, World Para Dance Sport and World Sailing – all expressed an interest to be included. By 21 November, existing international federations with sports and disciplines on the Tokyo 2020 Paralympic Games sports program were also free to suggest additional sports and disciplines for inclusion in the 2024 Games. The International Wheelchair Basketball Federation has put forward the 3×3 discipline of the sport, World Taekwondo has expressed an interest in including the Poomsae discipline of Para taekwondo and World Shooting Para Sport has proposed the inclusion of Para trap shooting. Andrew Parsons, IPC President, said: “We truly believe that the application process to be included in the Paris 2024 Paralympic Games sport program will be the most competitive yet and this is reflected with the number of sports and disciplines expressing an interest for inclusion. From February 2018, the 22 established Paralympic sports, plus those additional sports and disciplines approved by the Governing Board, will be invited to complete a comprehensive application pack by July 2018. The pack features a series of questions that aims to give the IPC detailed information regarding each sport’s governance, rules and regulations, associated costs, anti-doping program compliance and activities, worldwide reach, quadrennial competition program and procedures to ensure athlete welfare. Following a thorough review of all applications, including full agreement from the IOC and Paris 2024, the IPC Governing Board will announce its final decision on the Paris 2024 Paralympic Games sport program in early 2019. The first Paralympic Games took place in Rome, Italy, in 1960 and featured 400 athletes from 23 countries who competed in eight sports – archery, athletics, dartchery, snooker, swimming, table tennis, wheelchair fencing and wheelchair basketball.